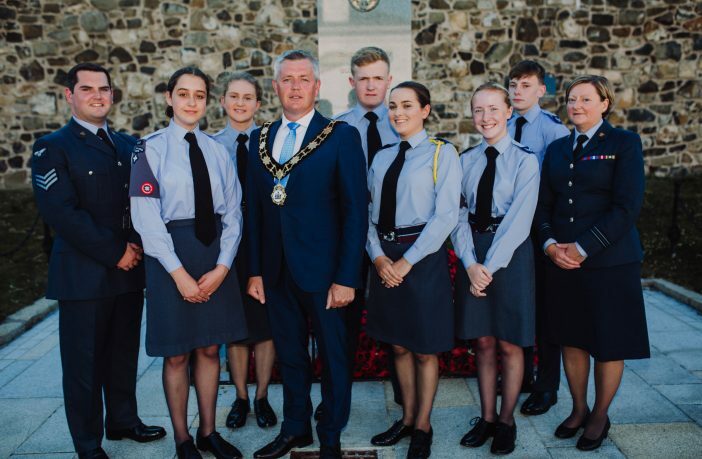 Antrim Market Square was brought to life on Tuesday 3 July as Mayor of Antrim and Newtownabbey, Councillor Paul Michael hosted an event to mark the RAF Centenary. 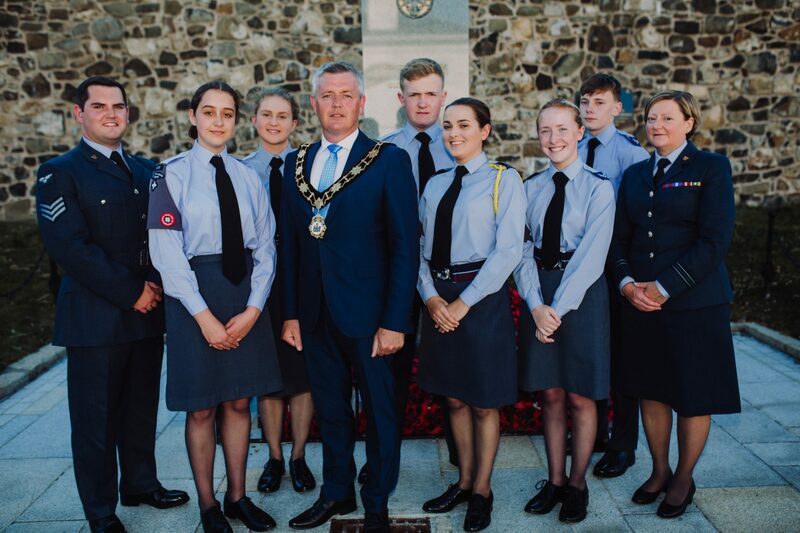 Special guests included Lord Lieutenant of County Antrim, Mrs Joan Christie CVO OBE. 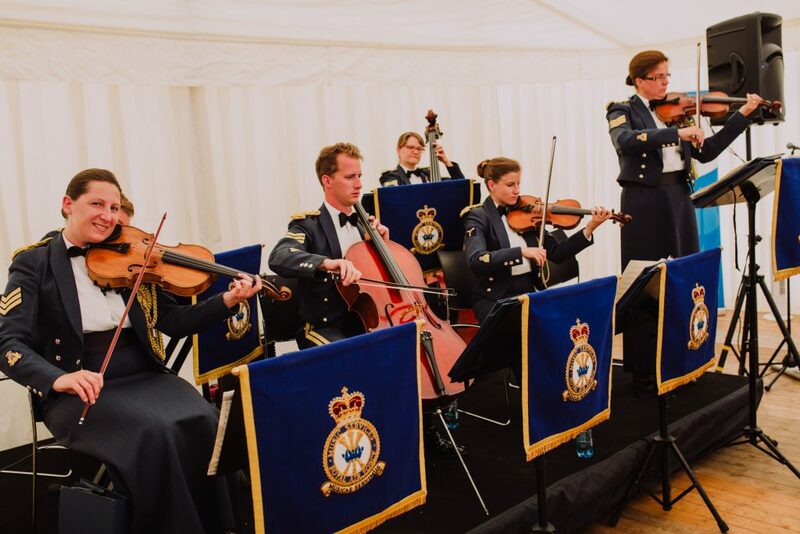 The Royal Air Force Salon Orchestra captivate the audience with a performance of musical excellence. The night was off to a splendid start as the Royal Air Force Salon Orchestra captured the crowd with a performance of musical excellence. Local Community Courtyard Choir transported the audience back in time with their songs from yesteryear. Speaking about the history of wartime aviation, historian and member of the Ulster Aviation Society, Ernie Cromie shared his knowledge on the subject. 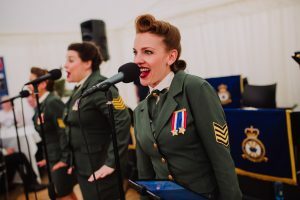 The spectacular Swingtime Starlets had the audience bopping to the sound of songs from the 40’s Wartime Era, the Holywood Golden Age and Retro Pop whilst the Living History Group brought to life the Centenary years with their re-enactments. The spectacular Swingtime Starlets transported the audience back in time with their songs from the 40’s Wartime Era, the Holywood Golden Age and Retro Pop. 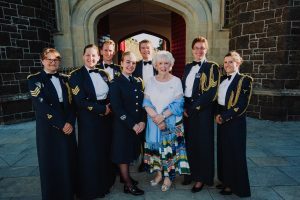 HMLL Mrs Joan Christie CVO OBE is joined by the RAF Salon Orchestra at the RAF Centenary event, hosted by Antrim and Newtownabbey Borough Council. 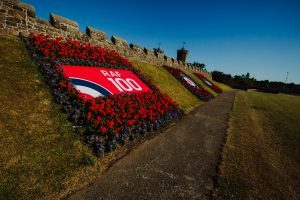 Later this year, the Council will be hosting a range of events to commemorate the 2018 Centenary of the End of the Great War. 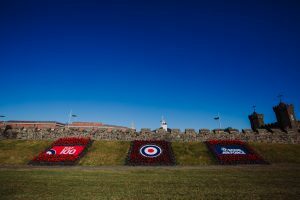 For details on other Royal Air Force Centenary events visit here.